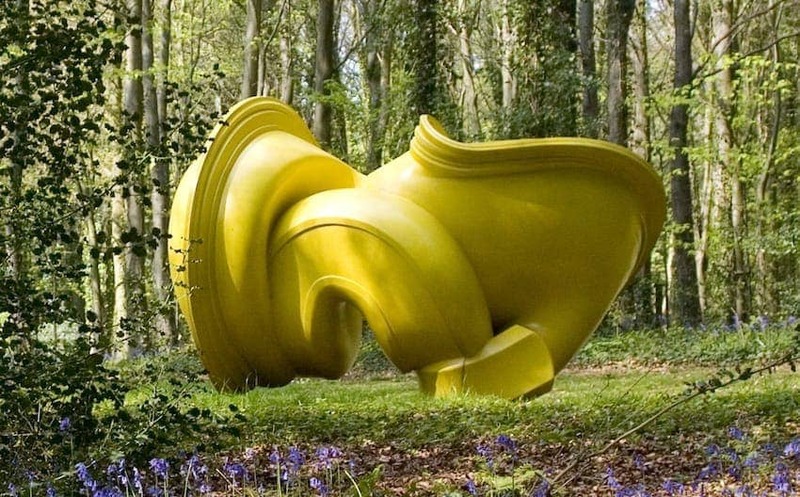 The Cass Sculpture Foundation in Goodwood, Sussex, is set in 26 acre grounds and shows a frequently changing display of 80 monumental sculptures, all of which are available for sale with the proceeds going directly to artists. Since being established in 1992 the Foundation has commissioned over 400 important works from both emerging and established artists. Previous commissions include works by such luminaries as Anthony Caro. The goal is to encourage sculptors to persue new directions and opportunities. The image is Tony Cragg's 'Declination'.